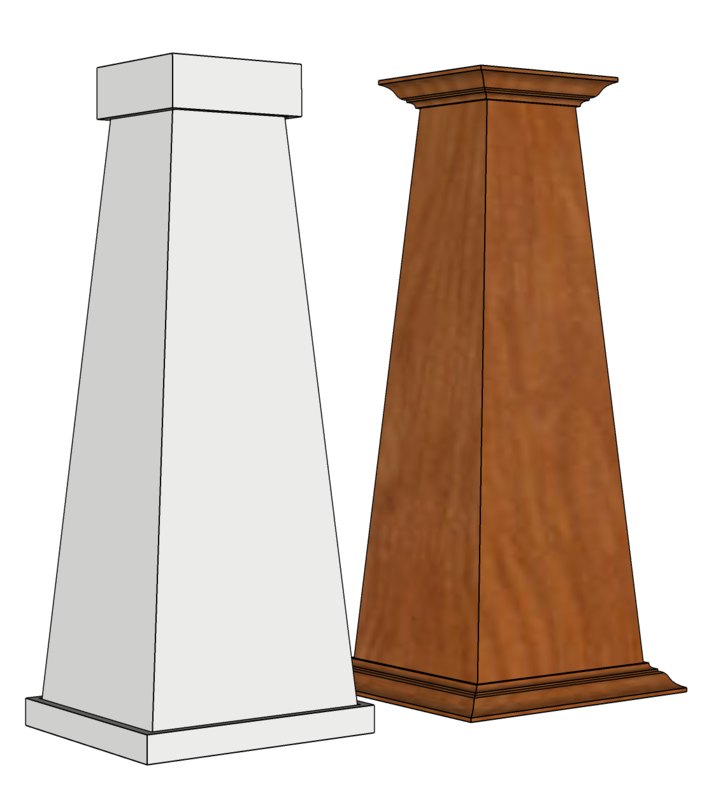 Elite Trimworks offers standard or custom made Arts and Crafts Columns in either PVC or Wood. 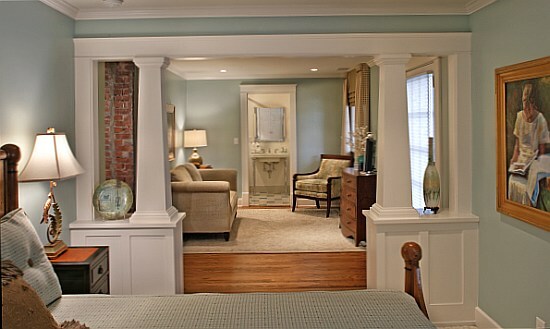 They are sometime referred to as bungalow columns, Craftsman columns, mission columns and shaker columns, however they are referred to, they are a creative alterative of your typical round columns. They are mostly decorative but can easily be made load beading by inserting dimensional lumber. You may choose between of either a Box or Georgian Cap and Base Set. The size shown below is about 12" square to 8" square, 48" high and is made from MDF. We can even make them taper from floor to ceiling, just send in your request and we'll get back to you promptly with pricing. We can also produce a 3D drawing prior to starting production. 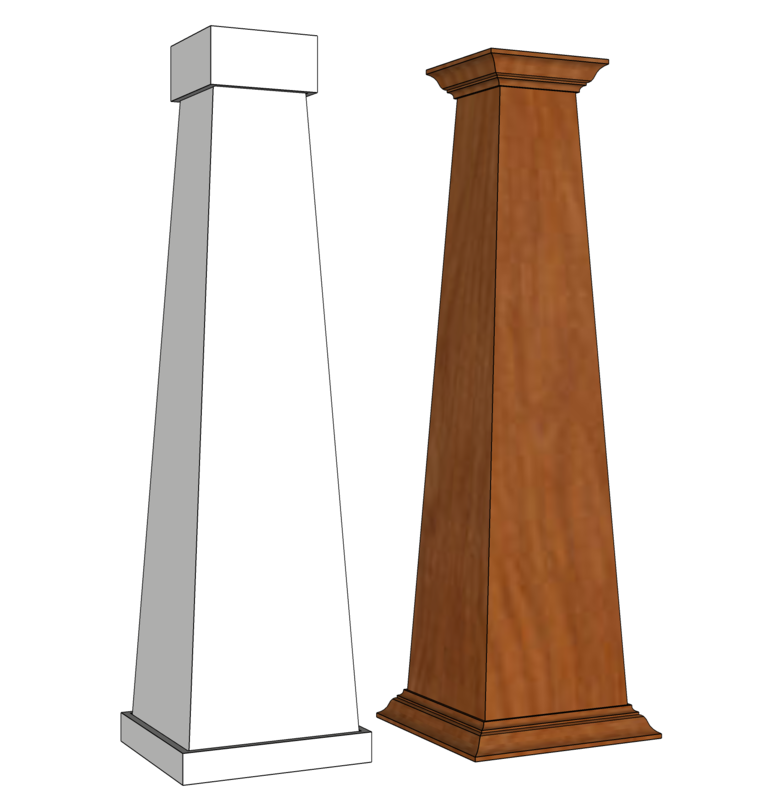 When specifying the shaft dimensions, do not include the thickness of the cap or base trim. We can also supply the header and several types of wainscoting as well.